Unless there are joint card holders, survivors are not party to debt card holder to credit card debts. Your heirs can inherit other possessions however they do not inherit your credit card balances. This however does not mean that you will not get demand calls from the creditors demanding payment. Death of a loved one brings with it pain and dissolution to the family, nevertheless life continues. Often when the departed is a parent, they leave not only their assets but also their liabilities. 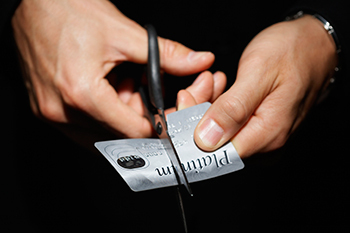 Here are 5 pointers on how to handle credit card debts of a deceased loved one. Are the survivors Liable for Credit card Debts? Seeing that the heirs typically do not inherit debts, that doesn’t mean they vanish. Rather, the obligation transfers to the estate of the deceased. Death translates to the creation the deceased estate. That estate is managed by an administrator, who after due affirmation by a court handles all financial matters of the dead, including their debts. Within the shortest time possible, notify all possible financial partners to the deceased of the death. Most credit card institutions will require a death certificate to support this notice. This is necessary in order to avoid cases of identity theft. Authorized card holders are not liable for the credit card debts however any continued use of the card after the death of the main card holder could be termed fraudulent. In the case of joint card holders with the spouse, their demise does not only leave a credit card bill but also takes out an important source of income. You can negotiate with the credit card company to revise the terms of payment for a period in order to accommodate your situation. Where you have received an insurance benefit from the death of a relative, it is prudent to settle such a credit card debt without hesitation. For the card holder, it is advisable to disclose your financial status to a trusted relative together with a listing and sharing of documents pertaining benefits or liabilities your survivors may incur in the event of your death.